In a nutshell – 7 weeks ago I started some seeds off in a hydroponics unit bought through the Ikea Live LAGOM project. This is our celebration meal with the first crop. I’ve been growing 3 different types of lettuce in the grow house for the last 7 weeks and today we started eating it. 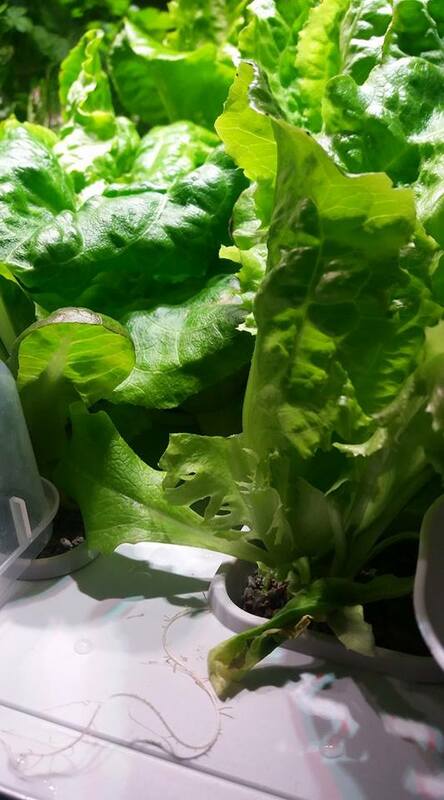 We can kiss goodbye to bagged lettuce for a while now, if I’m careful I can get new seedlings started and planted up to replace the plants as we eat them. I cut outside leaves from a few of the plants and you can hardly see a dent. I do know that salad leaves are generally nicer when they are young though so I’m not sure how long these will be nice for. What does indoor salad taste like? It tastes like lettuce, nothing spectacular at all, just lettuce. This is lettuce without any chemicals and because it’s grown in little cages containing growing medium, it’s really clean. I didn’t see a need to wash it at all. 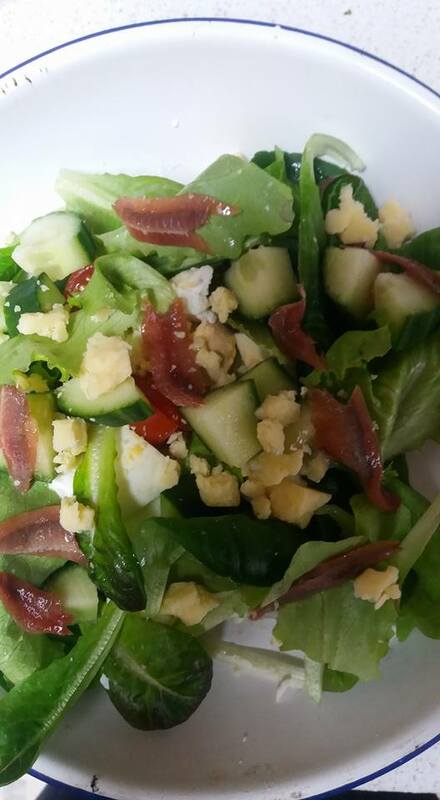 We bulked up the salad with chopped tomatoes and cucumber and added boiled eggs, chunks of cheese and a few anchovies for protein. It didn’t need a dressing at all but I think a balsamic vinegar/olive oil mix would work well with it. Mine was very similar to the one on Penny’s Recipes, only I softened the onion, garlic, carrot, celery, leeks and garlic in butter before putting into the slow cooker with stock and bay leaves. Also I didn’t bother to peel the potatoes. 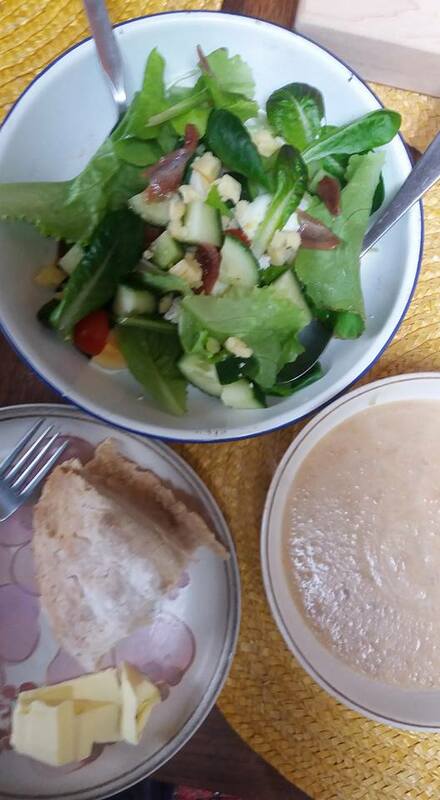 Penny’s Recipes is a great site for no nonsense, low cost recipes that use seasonal veg. She didn’t pay me to write nice things about her site, it’s a non biased recommendation. Mine is still not as good as my uncle Johns, I will get there. I use a mix of whatever flour I have and I made the buttermilk which is easy! Just add a bit of vinegar. I followed this recipe for soda bread which is really easy. 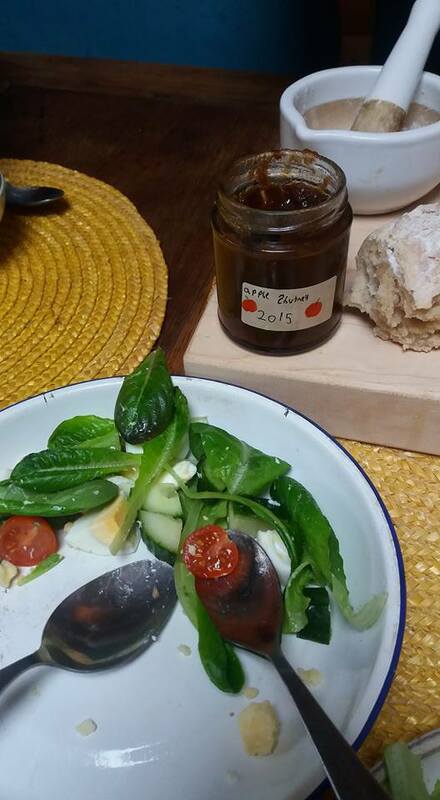 Verdict on our first hydroponics salad? I’m a little disappointed the leaves were not a little tastier. I think this is just the variety so I can play around with different ones until we find something delicious. 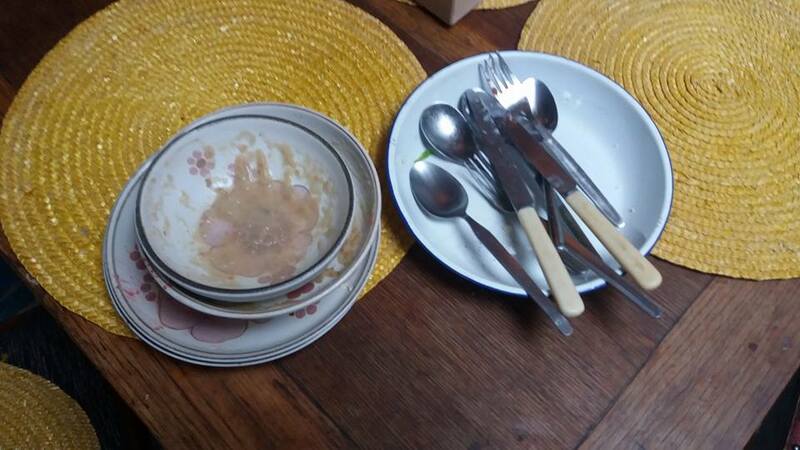 I think the proof of the lunch was in the eating – it all got eaten! I’ve got soup for the next few days and salad on tap from now on hopefully!